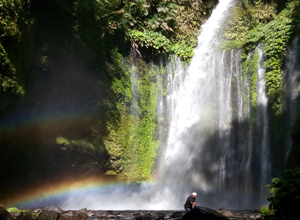 Lombok Eco Tour offers varieties of destinations in one day trip around Lombok Island to suit different holidaymakers' tastes. Whether you like to have a relaxing beach vacation, nature adventure trek, surfing in the best swell, sea kayaking, Mount Rinjani Trekking, biking, fishing trip, cultural trip to see local peoples more inside or land cruise over Lombok Island. Lombok Eco Tour also can customize one day tour in Lombok for visitor from Cruise Ship that arrive at Lembar harbor, Teluk Nare and other port in Lombok include pick up at the harbor and drop off back after trip. 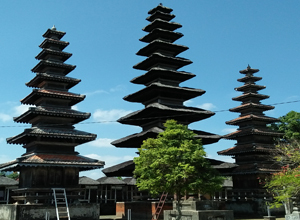 Lombok One Day Tour - Lombok Historical Culture Tour is a half day tour around Mataram City, the capital of Nusa Tenggara Barat Province. Visits historical Hindu's temple to explore the unique and oldest temple that build during Balinese King occupied western part of Lombok island, The Museum of Lombok to see history of Lombok include Sumbawa island and Cakranegara traditional market where you can see local people daily trading activities. Tour duration maximum 5 hours applicable for solo traveller, couple, family, group and visitors from a cruise ship at Lembar harbor. 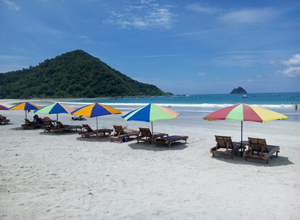 Lombok One Day tour - South Lombok Tour is one day tour to the south of Lombok island, discover the intriguing sights of the island visit Selong Belanak beach, Mawun Beach, Kuta Beach all has white sand, clear water best place for surf, swimming and relaxing. On the way back stop for visit at Sade Village one of traditional village on Lombok where you can see a traditional old house. Other stop also at Sukarara Village to see an old traditional hand weaving on Lombok and pottery craft centre at Banyumulek village. Tour duration maximum 9 hours applicable for solo traveller, couple, family, group and visitors from a cruise ship at Lembar harbor. 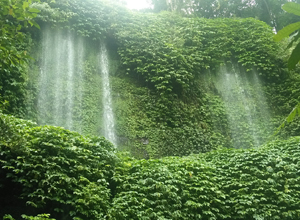 Lombok One Day Tour - Benang Stokel waterfall and Benang Kelambu waterfall tour is one day tour discovering two beautiful waterfall in central of Lombok island, Benang Kelambu waterfall and Benang Stokel Waterfall. You also will experience the beautiful nature, see rice terraces on the journey and visit Narmada park one of the historical temple in Lombok was built by Karang Asem King from Bali. Tour duration maximum 9 hours applicable for solo traveller, couple, family, group and visitors from a cruise ship at Lembar harbor. Tour duration maximum 9 hours applicable for solo traveller, couple, family, and Group. 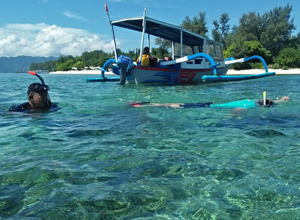 Gili Island Lombok one day snorkeling tour is exploring the famous three gili islands, Gili Trawangan, Gili Meno and Gili Air for Snorkeling. These Gilis has been famous for tourist attraction from many years. Gili means small island, so you can named those island in English, Trawangan island, Meno island and Air island. 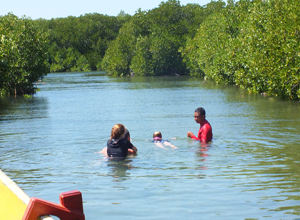 There are many sport activities available on the island such canoing, surf, snorkeling, swimming, diving trip and also diving school for visitor who want the get dive certification. Hotel, bar and restaurant available on every island. Lombok One Day Tour - Gili Nanggu Sekotong Beach One Day Tour is discovering three little islands on the southwest peninsula of Lombok island. Located in Sekotong area, famous with white sandy beach along the coast line and clusterred by tiny island suround the area. Lombok One Day Tour - Gili Rengit and Gili Layar Tour is discovering small island on the southwest peninsula of Lombok island. Located in Sekotong area, famous with white sandy beach along the coast line and clusterred by tiny island suround the area. 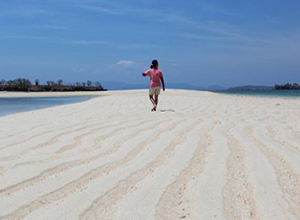 The island called Gili Rengit and Gili Layar, a beatiful unpopulated small island. Less visited due to the distance so the under marine life still nature. 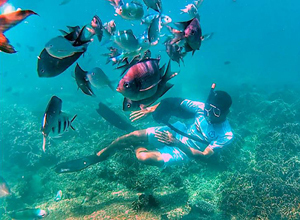 Swimming and snorkeling is best activities in this island. Sekotong Beach Lombok One Day Tour is discovering all the beaches along the coast line of South West Lombok Peninsula. visit the virgin beach of Elak-Elak, Pandanan and Mekaki. See the nature and country side of Pelangan Village, where you also can see both of Hindus and Moslem people live together side by side. Lombok Pink Beach one day tour discovering south east of Lombok of Lombok Island (Lombok Timur). The original name of Lombok Pink Beach is Tangsi Beach, it has beautiful white and pink colored sand with stunning natural view that very impressive. Surrounded by high cliffs with open sea view. 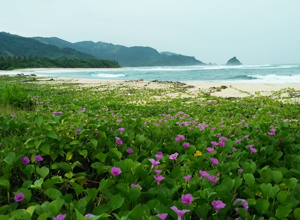 Lombok Pink Beach is located in Sekaroh Village, Jerowaru district on the East of Lombok Island (Lombok Timur). The original name of Lombok Pink Beach is Tangsi Beach, it has beautiful white and pink colored sand with stunning natural view that very impressive. Surrounded by high cliffs with open sea view. Lombok One Day Tour - Around Lombok is exploring Lombok island in one day depart from Senggigi West of Lombok drive through Central Lombok, East Lombok, North Lombok and finish back in Senggigi,west of Lombok. 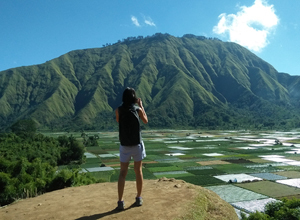 Along the way we will stop and visit Narmada Park, Masbagik rural morning market, rice terrace at Sapit village, Sembalun village, Senaru village, Sendang Gile Waterfall, Tiu Kelep Waterfall and sunset at Malimbu. 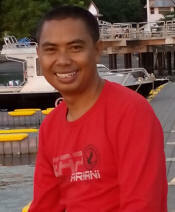 Tour duration about 10 hours applicable for solo traveller, couple, family, and Group. 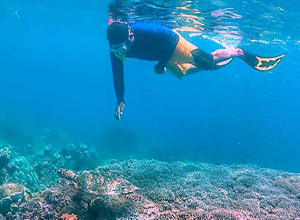 Lombok One day Gili Kondo and Gili Bidara Snorkeling trip is exploring the uninhabited and unspoilt Gilis on the east coast of Lombok Island. The Gilis are Gili Kondo, Gili Petagan, Gili Bidara and Gili Kapal located at Sambelie district of East Lombok Regency. Visiting these places will enriching you travel expereinces with the super beauty underwater scenery, colorful coral reefs.